Rajiv Sethu and Senthil Kumar secured a double points finish for the Honda Racing India team in the opening round of the Asia Road Racing Championship. After showing encouraging pace in practice, Sethu and Kumar couldn’t quite put together clean laps in qualifying, ending up 14th and 17th on the grid respectively in the Asia Production 250cc category. However, they made up for their sub-par qualifying performance quickly, gaining several positions in the first few laps of the race. Sethu, in fact, rose as high as fifth, but had to take evasive action when a couple of riders crashed in front of him. That dropped him to the lower regions of top 15, but he hauled himself up the order again, finishing on the cusp of top 10 in 11th position. It marked the best ever result by an Indian rider in ARRC. “After my best ever qualifier finish at 14th earlier today, I was charged up even more,” he said. “I made a great start and overtook nine riders to reach fifth spot in first lap itself. 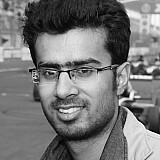 Kumar, meanwhile, gained two positions in the opening laps and then made up another place when Muklada Sarapuech dropped out of contention. He eventually crossed the line in 14th, scoring two points on his debut in ARRC. “It’s been a fantastic day of learning for me,” Kumar said. The competition is very tough here. I started strong and overtook 3 riders in first lap itself. Thereafter the battle was to hold my front and I could successfully do that. Prabhu Nagaraj, the face of Honda India’s motorsport campaign, was impressed with how both the Indian riders put on a strong show in the opening race of the season. “Right from the first race of the 2019 ARRC season, our solo Indian team is emerging as a serious challenger,” Nagaraj said. 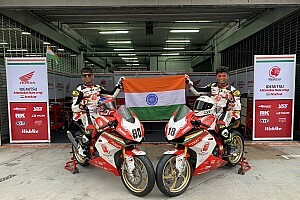 “Making India proud, Rajiv gave his best ever ARRC performance and added 5 points for Indian team. "Senthil the face of new, confident and aggressive young Indian riders finished in top 14 and added another two points to IDEMITSU Honda Racing India kitty.